The vocalist, guitarist and songwriter, who is best known as Alice Cooper's longtime lead guitarist and collaborator, has also worked with Slash and Gilby Clarke and been a member of Classic Rock award-nominated band Casablanca. 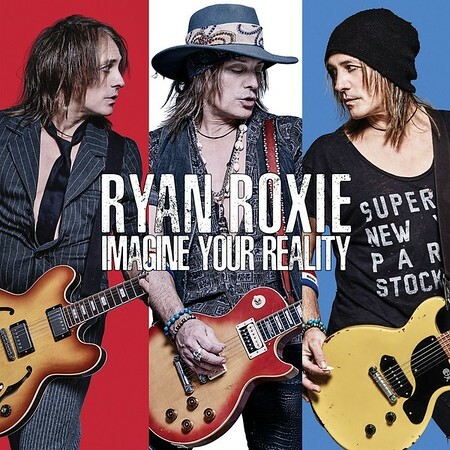 "Imagine Your Reality" is Ryan's first official solo release and sees him joined by other noteworthy musicians, including a collaboration with CHEAP TRICK's Robin Zander on the track "California Man". 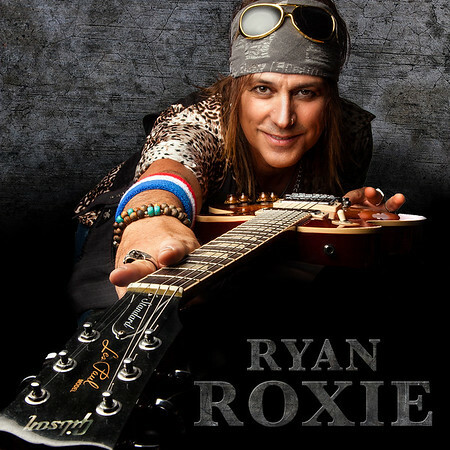 "Imagine Your Reality" continues Roxie's legacy of creating infectiously melodic songs and straight-ahead, no-nonsense rock riffs, and this time with more guitar than ever before. Ten tracks, all underlined by ten gleaming guitar solos. From the punk rock undertones of "Never Mind Me" to the un-sugarcoated tale of life in "La La Land (To Live And Die In LA)" to the superb BEATLES-y/OASIS nod "Look Me In The Eye" — it's an uplifting big rock sound. Zander transforms "California Man" into the ultimate vintage-vibed, top-down, drive-in-the-sunshine rock 'n' roll anthem. Ryan said: "CHEAP TRICK were a major influence in my musical upbringing. Both Robin Zander and Rick Nielsen have joined us onstage at Alice Cooper shows in the past and have always been the most quintessential rock stars. In my opinion, Robin Zander's voice is the definition of rock 'n' roll, so having him guest vocal on 'California Man' definitely ticks a box off my 'greatest moments in rock 'n roll' list." Asked by AntiHero if the songs on "Imagine Your Reality" are all brand new or if they were created using ideas that were collected over the course of several years, Ryan said: "Let's put it this way: everything was put together in the last year as far as getting the final songs done. When it comes to the inspiration, some of the riffs and some of maybe the vocal title tracks, some of those go back a few years. One of the riff rock tracks that we have called 'To Live And Die in L.A.', I had that title sort of bopping around in my head since the '90s. It was actually one of those weird L.A. detective movies — it was the title of a movie, and I thought, 'That title is too cool to be in just a movie. I'm going to make it a song as well.' When you listen to the actual riff, you can actually hear a bit of maybe there are a little bit of the bands I was playing around with during that time in the '90s influence in there. During that time, I was playing with Alice Cooper in the 'Brutal Planet' era as well as SLASH'S SNAKEPIT." "Image Your Reality" was produced by Kristoffer "Folle" Folin, Tommy Henriksen and Jon Bordon. It was recorded and mixed at Purple Skull Studios in Stockholm, Sweden. Says Roxie: "With this album, I think we kept the spirit and power of the 3.5-minute rock song intact as well as keeping the dream of guitar-driven music alive and well. I can't wait for people to experience my reality."